You might not be the only construction company in town, but you are the only one with your exact skill set, experience, and personality. 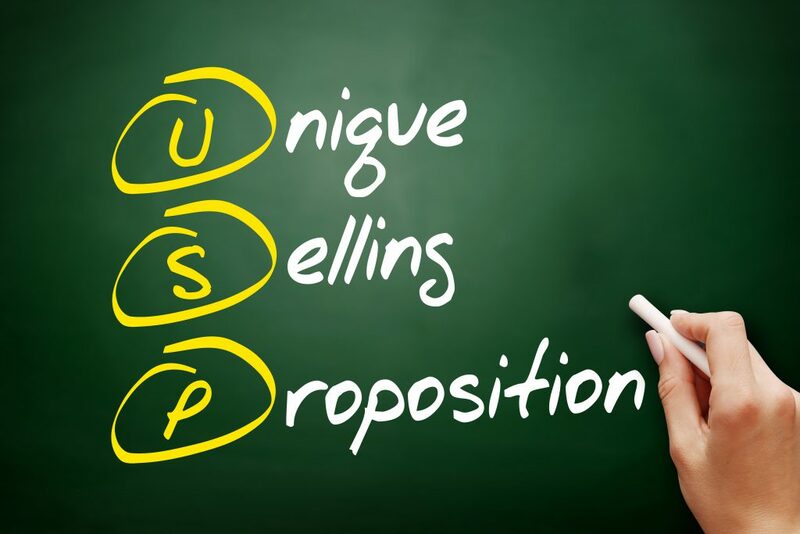 By defining a unique selling proposition (USP) that expresses those qualities, you let your potential clients know you’re the company for them. Your success depends on finding clients who appreciate your skills and pay top dollar for them. To attract those clients, you need to market in a way that stands out to them and speaks directly to them. Your USP helps you do that. If you want more luxury spa hotel clients, your USP might focus on the mood your facilities create or the high-tech amenities you build in. If eco-friendly home upgrades are your thing and you love working with families, you might have “green home renovations for eco-conscious families” as your USP. Specialists nearly always command higher prices than generalists. By positioning your company as the go-to source for a particular service, you can charge a premium for your work to maximize your profits. Your specialist status also reduces the perceived risk of working with you. It’s natural to assume a company with a focus on building refrigerated warehouses will do a better job on one than a general commercial storage construction company. When your clients feel secure in your ability to deliver top quality, they’ll be more willing to pay a higher price for it. Your USP is “unique” precisely because no one does it quite like you. When your clients feel they can’t get the same service elsewhere, they’ll be happy to come back to you for their next project. That’s especially valuable if you’re targeting property developers or other professionals who’ll be investing in projects for years to come. As an extra benefit, your loyal clients will be more likely to recommend you when a friend or colleague needs the services you specialize in. Building a brand isn’t something you can do overnight. If you want to give your target prospects a clear idea of what your construction company stands for, you’ll need to keep your brand in front of them year-round. 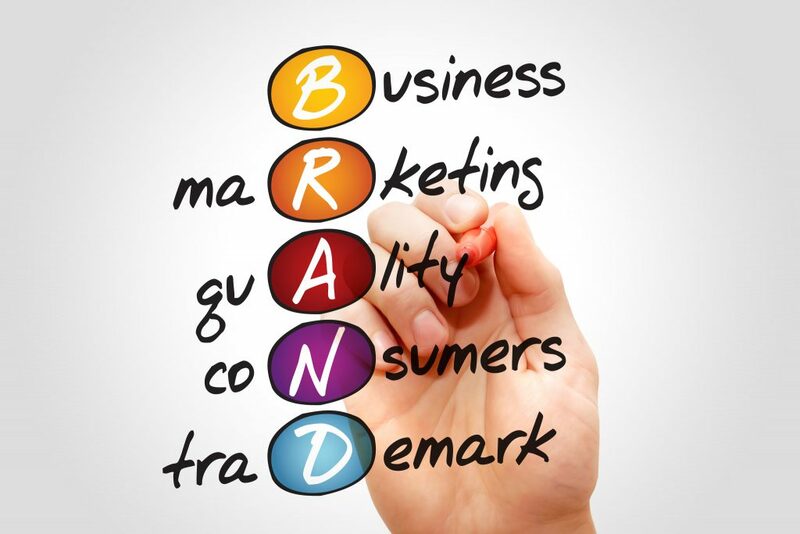 Memorability is one of the most valuable benefits a strong brand identity brings your company. Your brand sets you apart from generic general contractors and draws your ideal clients to you. Maybe you’re known as the eco-friendly company that publishes funny yet practical green home renovation tips on social media or the medical facilities specialist that sponsors training seminars for clinic staff. Creating this kind of memorability requires consistency. Drop off the map over the winter and your would-be clients might not remember you exist, much less what your brand promise is. Stay in touch, though, and you’ll be the first company they think of when they’re ready to start a new project in spring. The work you do to build your brand over the off-season, whether it’s getting your logo seen at events or publishing a series of infographics, keeps your company’s name at the forefront of your prospects’ memories. Building your brand’s image in the minds of your potential clients takes time. To really understand what your company is all about, your prospects need to see your marketing repeatedly. By marketing during the off-season, you’re giving yourself more time to educate your prospects about what your company offers, prove your skills, and develop a rapport. When the construction season comes around again, you’ll have an established relationship with people who really understand the benefits of working with you and who like your team on a personal level. 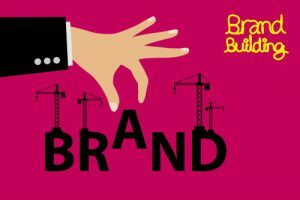 The emotional connections you’ve built through long-term branding fosters a loyalty that isn’t easily undone. That puts you miles ahead of any competitors who wait until spring to start battling for attention along with everyone else. Express your why – Your “why” is the higher purpose and shared values of your business that reach your clients on an emotional level. It’s the reason your clients choose to work with you and not your equally skilled competitor. These ideals should come across in all your online branding. If your “why” is constructing office buildings that reduce worker stress, build your branding around features for low-stress workplaces. Know your audience – Instead of defining your target clients merely as “commercial real estate investors” or “residential property developers,” aim for a deeper understanding of what motivates them beyond turning a profit. Do they invest in commercial real estate to have assets that create freedom for their family? Do they build multi-family housing because they believe in providing affordable housing for families with kids? Your branding should speak to these interests, which ideally align with your own company values. Build a community – A loyal following gives you a bigger base to draw repeat business from, more opportunities for referrals, and social proof that attracts new clients. With the broad reach it gives you, the Internet makes it easy to build a community around your brand. Share updates from your clients with your social media followers, start a Facebook group for retail property investors or run a project or challenge your audience can participate in. Get the look – Cohesive, consistent branding shows potential clients you’re a serious business that has its act together. It also improves brand recognition. Make sure your website, social media profiles, infographics, and other online marketing material use the same color palette, typography, and style of photography. Use a consistent voice for your marketing copy. Publishing a blog is a good way to help people find your construction firm online, but that’s not where the benefits end. Your posts also build visitor trust by showcasing your expertise and helping you build influential connections. 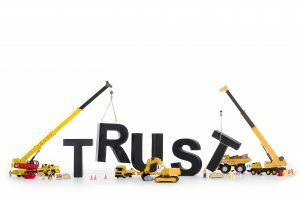 Before your visitors give you their trust, they need to see some proof that you have the skills to turn their construction plans into a reality and the personal integrity to deal honestly with financial and scheduling matters. By filling your blog with valuable tips, advice, and insight that will help your target audience solve their problems and reach their goals, you show them you know what you’re talking about. Your blog also gives you a way to draw more attention to your portfolio images, client testimonials, and success stories that further prove your expertise. Your hard skills aren’t the only thing your blog shows off, though. Freely sharing your knowledge positions you as a helpful, generous expert who’s willing to take the time to guide others in the right direction. Your blog opens an abundance of opportunities to work with construction industry influencers and build visitor trust by leveraging their good reputations. Find out who the influential personalities are in your segment of the construction industry and start building a relationship by interacting with their blog and social media posts. Mention them in your blog posts or ask to interview them for a post. Send a short question to several influencers and, with their permission, create a blog post from their answers. Ask to guest post on their blog or invite them to guest post on yours. When you publish an especially high-value post, let relevant influencers know you have something their audience might find helpful. If you’ve built a connection, chances are they’ll be happy to share your post, which gets your name in front of more potential clients along with a recommendation from someone they already trust. You know exactly how your construction firm outshines the competition, but your potential clients won’t unless you demonstrate it to them. 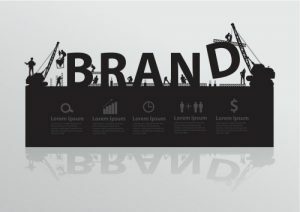 Brand building is one of the most effective ways to do this. Know your audience – To be successful, your brand must show your ideal clients that your firm is the one that can best meet their needs. Before you start your brand building efforts, take a closer look at the information you have about those would-be clients. What problems are they trying to solve? What extra services and capabilities appeal to them most? Stand for something – Connecting your brand to something larger than yourself helps it stand out in the minds of your prospects. If you specialize in building with ecofriendly materials, you might aim to become a symbol of sustainability in construction. If you build high-end hotels, positioning your firm as a symbol of luxury can help you attract the clients you want. Be a leader – Become a thought leader in your segment of the construction industry and you’ll stand out from the crowd while bringing more attention to your expertise. To do that, you need to be willing to provide deep insight into the issues your audience cares about as well as make predictions about future trends and take a stand on controversial construction-related issues. Create content about the things that truly matter to you and your clients, whether that’s improving building safety codes, using 3D printing to build more affordable housing or preserving historical neighborhoods. Network online and offline with people who can help further your ideas, including the media. Unify your design – A brand that uses visually cohesive, consistent design is memorable and instantly recognizable. It also feels more like a reliable, developed business that has its act together down to the last detail. For better visual branding, create a brand style guide outlining the color palette, typography, types of images, and voice to be used in all your marketing and packaging. Just because you haven’t been actively managing your online reputation doesn’t mean you don’t have one. In fact, you might be surprised how much is being said about your construction firm online. A little more interaction will give you more control over the conversation. Social media has become the place to go to voice complaints, share success stories, and trade tips. Chances are, your clients and partners are already there talking about their experiences with your firm. By joining the conversation, you have a chance to show your appreciation, expand on the topic, and tell your side of the story. Managing your online reputation doesn’t require you to be on every platform, but try to have an account on the three your clients use most often. Set up Google Alerts for your company’s name, the owner’s name, and other key terms so you’ll find out when someone’s talking about you. When someone searches for your company online, you want the first results they get to be something you’ve written yourself that presents your company in exactly the way you want. The best way to accomplish that is by regularly posting valuable content. Consider developing a few in-depth “ultimate guide” blog posts on the topics your prospects are most interested in, such as “A Complete Guide to Profiting from Modular Construction.” Content like this attracts shares and links from other blogs, which boosts its position in the search engines. Word of mouth has always been vital in the construction industry, but now the conversation has spread out across the internet. Your online reputation will develop with or without you. Neglect it and you could find the first search engine results for your firm’s name are the only bad review you’ve ever had and your competitor’s opinion on why he’s better than you. 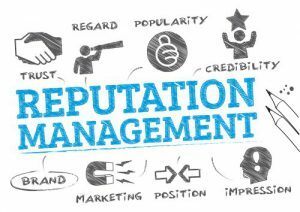 By taking an active role in your reputation, you ensure your would-be clients see you in a positive light first. In today’s crowded construction market, traditional ads aren’t always enough to get your firm’s brand noticed. By using branded content wisely, you can not only reach a wider audience, but also connect better with your ideal prospects so they’ll be more likely to contact you. For your content to garner any attention at all, it must offer real value. You’ll get more leads out of a single piece of well-made content than a dozen articles that blandly repeat facts your audience already knows. Take the time to create content that’s not just informative, but also entertaining or inspiring. Aim to create content that resonates with your audience on an emotional level, not just an intellectual one. It’s this emotional aspect that sets branded content apart from ordinary content marketing material. Using branded content doesn’t have to be limited to publishing blog posts, photos of your projects, and video tours of your job sites, either. An unusual format, such as a music video, a game, or a series of interviews can do a lot to set you apart from other construction firms and intrigue your audience enough that they make the effort to get in touch with you. While branded content can get your name in front of your target audience, it won’t necessarily bring you leads unless you steer your audience in the right direction. 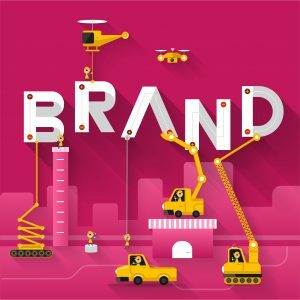 Your branding can be subtle or direct, but there must be some way for your audience to connect the content with your firm. End your articles with a note about who created the content, with or without a call to action. In your videos, place your logo in the corner or create a simple outro that introduces your firm. If you prefer a more modest approach, include a link in the video description that leads viewers to a page where they can learn more about how the video was made and how your services fit in. When your prospects have thousands of other construction firms just a click away, it’s hard to stand out based on your services alone. 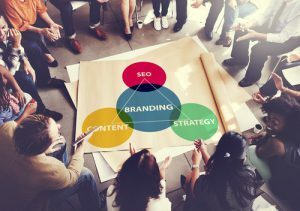 Consistent brand building shows off your unique competencies more clearly while also connecting with your ideal clients and building lasting loyalty. Branded content is any content strongly associated with a specific brand and that aims to evoke emotions and encourage interaction. It blends marketing with storytelling and personal relationships. To create content like this, you need to start with your client’s own stories. That means really getting to know the people in your target market both by collecting data and by talking with them in person. Then associate what you learn with the construction services you offer. Done well, you’ll have content that reflects your clients’ reality and connects with them on a personal and emotional level. 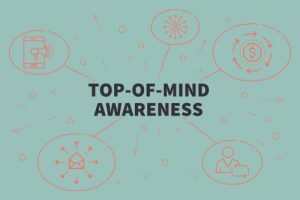 When your prospects feel like your marketing message is speaking directly to them and has real relevance, they’re more likely pay close attention all the way to the end. You’ll then have a better chance to demonstrate the benefits of your services and why you’re better than your competition. While advertorials aim to soft-sell by focusing on facts, branded content combines facts with positive feelings. The emotional connection this kind of brand building content creates is something that can’t be easily replaced by another firm. As a result, your clients’ choice to hire your firm is no longer merely a coldly logical business decision, but rather a personal one. Clients who are emotionally attached to your brand are more likely to advocate for you and send referrals your way. If an emotionally connected client is unhappy with something, they’re more likely to tell you and work things through, rather than simply move on to another firm. They’ll also be more willing to defend your name if you ever have a public relations issue. In addition, these clients are less price sensitive, meaning you can set more profitable rates.